Upgrading Windows 10 to a next version may have unpleasant effects. As has been shown with the upgrade from 1607 to 1703 and in some cases a program like Maya autocad did not work anymore. Reverse to 1607 was the solution, but not for Home users, because they were offered 1703 and stopped was not possible. The bottom line is that you are actually skipping a "wrong" upgrade by postponing those 6-12 months. You will then lift the system to the next upgrade, which will hopefully not cause any problems. In fact, you should only install every version after 6 months. Then the Home users of guinea pigs, who have no grip on it, have already complained and hopefully the misses will have been corrected by now. 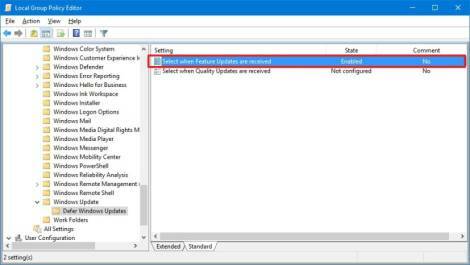 How to Defer Updates if You’ve Installed the Creators UpdateTo defer updates, head to Settings > Update & Security > Windows Update > Advanced Options. Scroll down and use the “Feature update” and “Quality update” options under “Choose when updates are installed” to specify how many days you want to defer updates for. Set these options back to “0” to stop deferring updates. 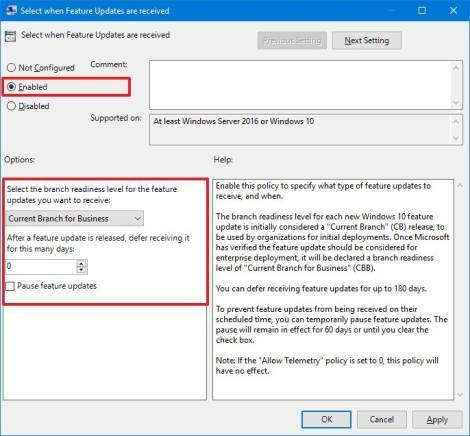 Ultimately the choice is yours, but now that Microsoft has updated the Windows 10 version 1703 Settings interface to allow you to to pause or defer Windows Updates with essentially the same level of fidelity as the Local Group Policy Editor, it might just be the easier method. If you’re looking to postpone an upgrade for a longer period, it’s possible to delay updates for up to 180-365 days. Microsoft provides two branch readiness level for receiving feature updates. The “Current Branch” gets updates when Microsoft considers that the features are ready. Then the “Current Branch for Business” gets feature updates when Microsoft confirms it’s ready for enterprise deployment. If you want to delay updates as long as possible, you should be selecting the Windows Update for Business (WUB) option, in addition to delaying updates for 180 days. 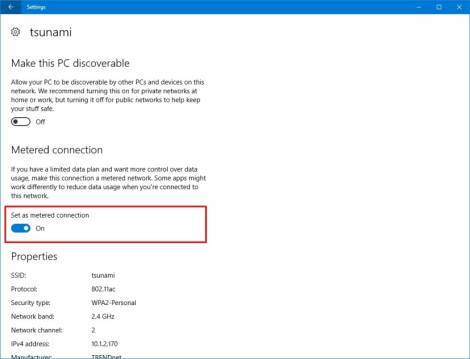 This option is also only available for Windows 10 Pro, Enterprise, and Education, and you can only configure it using the Local Group Policy editor. Type gpedit.msc and press Enter to open the Local Group Policy Editor. Double-click the Select when Feature Updates are received policy. Under “Options”, select the Current Branch for Business option from the drop-down menu. Check the Pause feature updates option to temporary pause major release from downloading and installing on your PC (this is the same as using the Defer feature updates option in Settings). The pause will remain in effect for 60 or until you clear the check box. If you’re running Windows 10 Home, as soon as the Creators Update, or another feature update, rolls out it’ll download and install automatically. 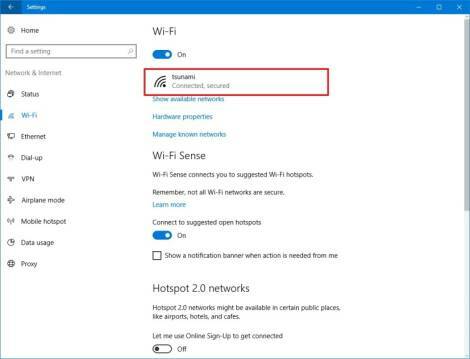 However, you can set your Wi-Fi connection as metered, which limits how the OS access uses an internet connection, and when enabled, updates won’t download automatically to your PC. Click the Wi-Fi network you’re connected link. Under “Metered connection”, make sure to turn on the Set as metered connection toggle switch. This method will block all kinds of updates, meaning that your computer will be unprotected until you disable the metered connection.